Motivation comes in many forms, but it’s most often talked about in relation to our work. Our job responsibilities require a certain amount of motivation on a daily basis. Still, the hardest day to drum up the necessary motivation is typically Monday. Why? When we hear that someone has a “case of the Mondays,” we instinctively understand what that means. Tired, overwhelmed, stressed… Mondays get a bad rap because they are usually associated with the resumption of our duties after a responsibility-free weekend. For most people, motivation usually takes a standing PTO day every Monday. Doesn’t show up. Fails to represent. Without motivation, Mondays are hard for a significant amount of the population. That’s when social media comes to the rescue! 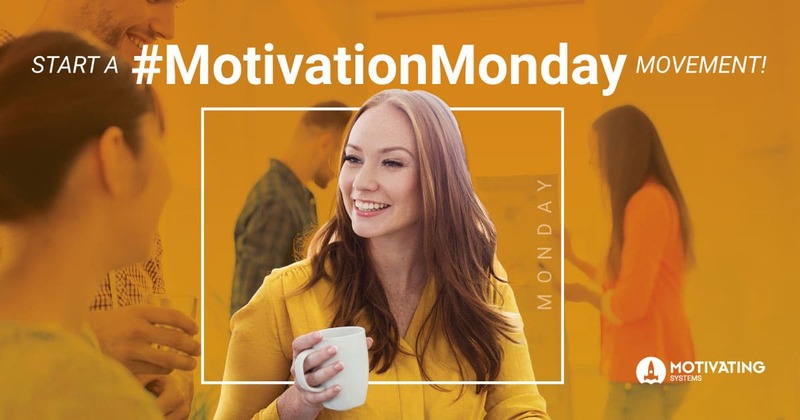 Social media joined Motivation and Monday to create the popular #MotivationMonday hashtag. Every Monday sees a flood motivational quotes, positive thoughts, and uplifting images shared on social media. On Mondays, Instagram, Twitter, Facebook, and LinkedIn trend toward a stream of inspirational messages designed to encourage those of us trying to survive the day. Do these social shares really help? Has anyone’s Monday ever been improved by something found on a social media feed? Why do Mondays feel so hard? Why Are Mondays So Hard? In part, Mondays feel difficult because we’ve been conditioned to think of them in that way. If you ask anyone, even in passing, how they’re doing on a Monday, it’s likely you’ll get a negative response. In turn, you may commiserate with your own negativity, even without meaning to. It’s common to pick up on another person’s bad mood. Studies indicate that moods are as easy to catch as the common cold, mainly due to our unconscious social nature. Pop quiz: what is the best thing about the weekend? For most, the answer is “sleeping in!” We relish not having to adhere to a regular sleep schedule, which is why we look forward to weekends, holidays, and vacations. But sleeping in on the weekend actually makes it more difficult to get going on Mondays, because the change in sleep patterns can confuse your body’s clock. Another reason so many of us struggle on Monday is due to our hardwired nature for socialization. After a couple of days away from our work tribe, it’s difficult to jump back into the work routine without a visit to the communal watering hole, aka the water cooler or coffee pot. We want to be sure our position in the tribe still holds. While there might be a fair amount of negativity on Monday morning, this tribal meet-up is critical to move past the Monday blues. Additionally, there is a significant emotional shift that occurs between Sunday and Monday. In a transition such as this, it takes a little time to make the switch. The person we must be on Monday is often a very different person than we were on Sunday. Our focus changes from our personal life to our job responsibilities, and that is a big change. You may find that a positive mindset might run counter to typical Monday morning griping, but make it a point to bring a good mood into the office. Your positive mood could be contagious! As tempting as it is to stay up late and sleep in on the weekends, sticking to a regular bedtime and arising at the same time each day will go a long way toward feeling rested. It’s easier to have a positive mindset when you’re well-rested. Human beings are meant to be social. What sociability looks like can vary from person to person, but most of us need connection with others to feel positive. Socializing at work, when done appropriately, can help you feel more united with your work tribe. Social media provides a wider audience for everything we choose to share. Share encouragement through your social media posts using the hashtag #MotivationMonday. What you post might just be the very thing someone else needs to see. At Motivating Systems, we get excited about Mondays in ways that very few offices do. Our positive office culture means that every day of the week is a good day – not just Fridays. We invite you to join us in sharing #MotivationMonday with friends, family, and coworkers!